Lemon Myrtle, also known as “Backhousia Citriodora,” is an evergreen tree that predominates in subtropical dense forests of Australia, particularly the central and southeastern regions of Queensland. This tree can grow as high as 20 feet tall, bearing bunches of white flowers. Learn more about Lemon Myrtle Essential Oil or find a great deal on the best selling Lemon Myrtle Oil from the items below! 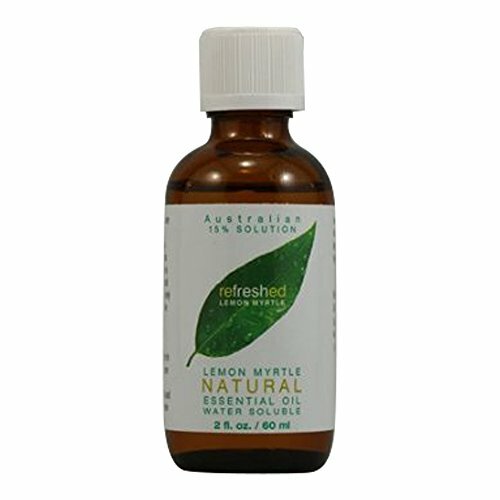 An extremely potent antibacterial and germicide Lemon Myrtle Essential Oil is reputed to be a much more effective germ killer than the more familiar Tea Tree. 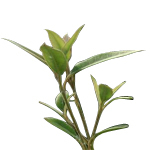 Lemon myrtle essential oil is known for its calming and uplifting properties and is more antibacterial and antifungal than its Australian counterparts Tea Tree and Eucalyptus but unlike the medicinal aromas of Tea Tree or Eucalyptus Lemon Myrtle's divine citrusy aromas will make you to come back for more. It's an alluring scent described as more lemony than lemon and for you citrus-lovers this definitely will top your list. Blends well with Lemongrass Eucalyptus Globulus Orange 5 Fold (or Orange Sweet). Capacity - 30 ml. An extremely potent antibacterial and germicide Lemon Myrtle Essential Oil is reputed to be a much more effective germ killer than the more familiar Tea Tree. 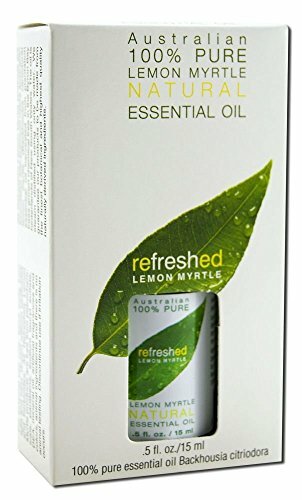 Lemon myrtle essential oil is known for its calming and uplifting properties and is more antibacterial and antifungal than its Australian counterparts Tea Tree and Eucalyptus but unlike the medicinal aromas of Tea Tree or Eucalyptus Lemon Myrtle's divine citrusy aromas will make you to come back for more. It's an alluring scent described as more lemony than lemon and for you citrus-lovers this definitely will top your list. Blends well with Lemongrass Eucalyptus Globulus Orange 5 Fold (or Orange Sweet). Capacity - 15 ml. All Refreshed Lemon Myrtle products are formulated with premium native Australian lemon myrtle (Backhousia citriodora) essential oil harvested from plantation trees grown chemical tree in the Byron Bay hinterlands of New South Wales. The oil is steam distilled using only water. An ideal multi-purpose cleaning agent. Dilute 50% with water for cleaning bathrooms and kitchens to leave them smelling fresh and sanitized. All Refreshed Lemon Myrtle products are formulated with premium native Australian lemon myrtle (Backhousia citriodora) essential oil harvested from plantation trees grown chemical free in the Byron Bay hinterlands of New South Wales. The oil is steam distilled using only water. These products are guaranteed to be made from the finest botanical and highest quality naturally derived ingredients. 100% Pure Therapeutic Grade Lemon Myrtle 10ml Essential Oil Comes in 10ml amber glass essential oil bottle. European Dropper Cap included What sets Healing Solutions Essential Oils apart is superior cultivation of ingredients that are the best in the world. Combined with superior distillation and bottling care process, We GUARANTEE that our oils are aromatically superior and more effective than any other oils - if you disagree we will refund your money! The Leading Aromatherapy Associations (Alliance of International Aromatherapists (AIA), International Aromatherapy and Aromatic Medicine Association, Aromatherapy Trade Council, and others) all state that essential oils should not be taken internally (regardless of purity or organic origin) unless under the guidance of a health care practitioner trained at an appropriate level . As such, all of our oils carry a label warning that the product is NOT FOR INTERNAL USE. Nature's Kiss Lemon Myrtle Essential Oil has an aroma that can be described as a strong and uplifting, invigorating and cheerful lemon-lime scent with a top note. It is very lemon scented, more so than actual lemon essential oil. It contains 95% citral and it also contain citronellal which is the main constituent in citronella oil and Eucalyptus citriodora essential oil. Out of all the lemon oils that contain citral, many consider lemon myrtle essential oil to be the cleanest and freshest, most pleasant scent. Lemon myrtle essential oil has the highest citral purity of any of the essential oils and it is usually higher in content than even lemongrass. Nature's Kiss Lemon Myrtle Essential Oil has an aroma that can be described as a strong and uplifting, invigorating, and cheerful lemon-lime scent with a top note. It is very lemon scented, more so than actual lemon essential oil. It contains 95% citral and it also contain citronellal which is the main constituent in citronella oil and Eucalyptus citriodora essential oil. Out of all the lemon oils that contain citral, many consider lemon myrtle essential oil to be the cleanest and freshest, most pleasant scent. An extremely potent antibacterial and germicide Lemon Myrtle Essential Oil is reputed to be a much more effective germ killer than the more familiar Tea Tree. 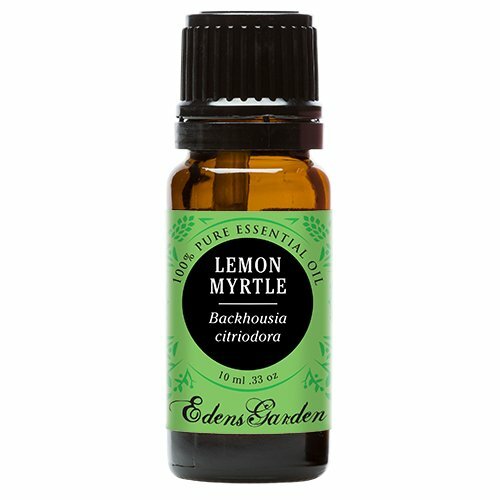 Lemon myrtle essential oil is known for its calming and uplifting properties and is more antibacterial and antifungal than its Australian counterparts Tea Tree and Eucalyptus but unlike the medicinal aromas of Tea Tree or Eucalyptus Lemon Myrtle's divine citrusy aromas will make you to come back for more. It's an alluring scent described as more lemony than lemon and for you citrus-lovers this definitely will top your list. Blends well with Lemongrass Eucalyptus Globulus Orange 5 Fold (or Orange Sweet). Capacity - 10 ml. An extremely potent antibacterial and germicide Lemon Myrtle Essential Oil is reputed to be a much more effective germ killer than the more familiar Tea Tree. 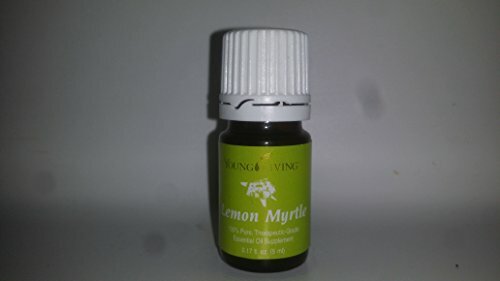 Lemon myrtle essential oil is known for its calming and uplifting properties and is more antibacterial and antifungal than its Australian counterparts Tea Tree and Eucalyptus but unlike the medicinal aromas of Tea Tree or Eucalyptus Lemon Myrtle's divine citrusy aromas will make you to come back for more. It's an alluring scent described as more lemony than lemon and for you citrus-lovers this definitely will top your list. Blends well with Lemongrass Eucalyptus Globulus Orange 5 Fold (or Orange Sweet). Capacity - 5 ml.